Flexible & secure software defined networking, powered by OpenStack. Based on the OpenStack® Neutron technology, our cloud networks allow you to create single-tenant networks with complete control over your network topology and architecture. You can create networks and connect multiple servers to them, create routers and connect many networks to them as well as leverage floating IPs. 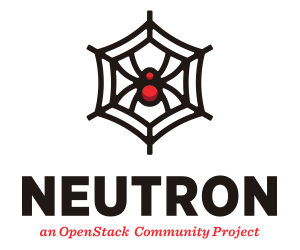 OpenStack® Neutron provides you with an open and flexible API, with no vendor lock-in. When creating isolated networks, you may need to interconnect them. Our solution allows you to create routers in the cloud in order to connect the networks to each other. Our dashboard or API allows for a quick and easy connection. In addition, you can also interconnect your private network to the internet which provides internet access behind NAT. Every network you create within our infrastructure is fully isolated from all other users on the public cloud. By using specific tunneling methods, we ensure that every customer’s private network and all data traveling across it are fully isolated, allowing you to have peace of mind when running mission critical applications on your servers. Cloud networks are single tenant and fully isolated Layer 2 networks, which means it is the equivalent of having your own physical switch connected to your servers only, with no one else connected to it. You can control every aspect of your network such as IP addressing and routing between your networks. In addition, you can dynamically assign floating IPs to any server within seconds. Re-using an IP address across different instances is a breeze with floating IPs. You can easily replace new servers’ random IP by allocating a floating IP which can be reassign to any other server at anytime.